Timing is everything, they say, and when our timing's off, we all wish we could go back for a redo. Which might explain the popularity of stories about time travel. Jake Gyllenhaal is repeatedly sent back to the same 8-minute time frame to thwart a train bombing. Eric Bana has no control over his spontaneous time traveling. Jennifer Garner gets her birthday wish to be all grown up. After wishing he wasn't so small, a 12-year-old wakes up as 30-year-old Tom Hanks. He can also play piano with his feet. Kathleen Turner goes back 25 years and reconsiders the choices she made, including Nicholas Cage. Michael J. Fox and Christopher Lloyd visit the 50s, the future, and the Old West in this legendary trilogy. Bill Murray is a weatherman stuck in a 24-hour time loop. Christopher Reeve falls in love with a girl in an antique picture, and finds a way to meet her in the past. The 1895 classic that started it all, in which the writer himself travels forward hundreds of thousands of years. In more ways than one, H.G. Wells was ahead of his time. I'd be remiss not to mention one of my favorite books, written by the late Jack Finney (whose birthday, incidentally, is today). For years I've been saying that they should make a movie out of Time and Again, in which an artist goes back to 1882 and has trouble staying there. At one point, Robert Redford even had plans to produce a film version. Finally, just this summer, it was announced that Lionsgate has acquired the rights and that a director has been chosen. 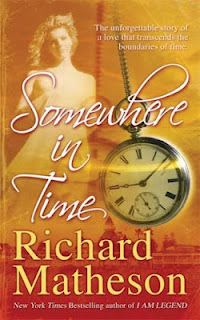 If Time and Again is successful enough to warrant a sequel, Finney was kind enough to provide that too, via a second novel called From Time to Time. 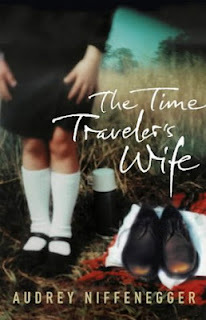 Call it science fiction, call it fantasy, call it futuristic, but one notable thing about time travel talespinning is that it's one of the few "out there" genres that are accessible enough for almost anyone.